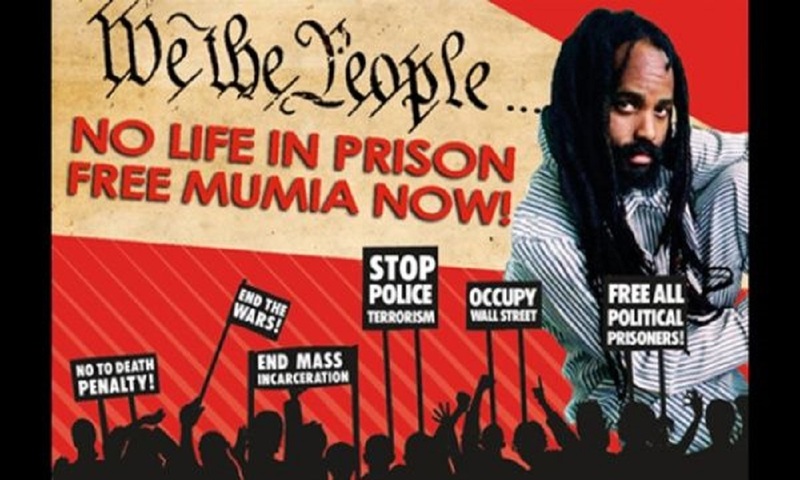 NEW APPEAL TO FREE MUMIA! Assure that all the District Attorney and police files relevant to Abu-Jamal’s case be released publicly as the Philadelphia Court of Common Pleas is reviewing the potential involvement of retired Supreme Court Justice Ronald Castille in a conflict of interest when he reviewed Abu-Jamal’s case as a PA Supreme Court Justice. Release Abu-Jamal now from his incarceration. That given the mounds of evidence of Abu-Jamal’s innocence and even more evidence of police, prosecutorial, and judicial misconduct, his unjust incarceration, including almost 30 years on death row, his twice near-executions, his prison-induced illness which brought him to the brink of death, and the lack of timely treatment for his hepatitis-C which has left him with a condition, cirrhosis of the liver, which poses a potential threat to his life … we call for the freedom of Mumia Abu-Jamal now. Mumia Abu-Jamal is an internationally renowned U.S. political prisoner, widely honored (with streets and cities named after him, and including the award of Honorary Citizenship of Paris) for his piercing indictments of the racial inequities and brutal imperial powers of the United States. 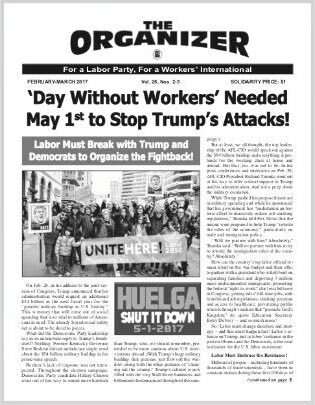 Abu-Jamal was originally targeted for “surveillance” and “neutralization”, that is, assassination, when he was a 15 year-old spokesman for the Black Panther Party, by the U.S. Federal Bureau of Investigation (FBI) and its notorious Counterintelligence program, designed and implemented by J. Edgar Hoover. By the age of 26 he was an award-winning radio journalist with a wide following, known as the “voice of the voiceless” and outspoken in his defense of the MOVE organization and other targeted individuals and organizations. On December 9, 1981, in the middle of a street altercation, Abu-Jamal was critically shot and brutally beaten by police and then framed for the murder of Police Officer Daniel Faulkner and sentenced to death. Abu-Jamal is innocent of those charges. 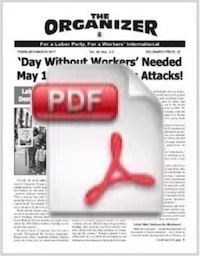 The Fraternal Order of Police (FOP), and those who support the organization politically and financially, have continued to clamor for Abu-Jamal’s death and consider it a crime that he has survived. The legal challenges to Abu-Jamal’s conviction expose the systemic injustice of the U.S. criminal injustice system. The police and prosecution manufactured the evidence of Mumia’s guilt — the ballistics evidence was false, the witnesses were coerced to lie, the so-called confession was fabricated. The evidence of Abu-Jamal’s innocence, was known to police on the scene. The police knew that Officer Faulkner was shot and killed by someone other than Abu-Jamal. Numerous witnesses saw the likely shooter run from the crime scene. Rights to due process and a fair trial were denied: these included the right to a jury selected without racial discrimination, the right to counsel of the defendant’s choice, the right to self-representation, the right to resources to challenge the prosecution’s case and hold the prosecution to its burden of proof beyond a reasonable doubt. Abu-Jamal’s frame-up did not begin or stop with the police and prosecution. The American judicial system and its judges are increasingly recognized as racially and class biased and largely accounting for the mass incarceration we see in the U.S. The trial and post-conviction judge was the infamous Judge Albert Sabo, known as the “king of death row” for sentencing to execution more people than any other judge in the entire U.S. As both the trial and post-conviction appeal judge, despite international denunciations by legal experts of his biased practice and rulings in the court room, Sabo denied every single challenge to Abu-Jamal’s conviction from 198 to 1997! In 2002 a court reporter disclosed that at the start of the 1982 trial, she overheard Judge Sabo telling another judge that he was going “to help them fry the “n–r”. Judge Sabo’s clear exposure of his gross racism was deemed not relevant by Philadelphia Judge Pamela Oembe, who agreed that Sabo’s language was heinous, but that he had nonetheless been fair during the trial and had shown no racial bias. Dembe also ruled that the confession of a man who swore he, and not Abu-Jamal, shot and killed police officer Faulkner, should not be heard in the court. In 2003 the Pennsylvania (PA) Supreme Court upheld these rulings and denied Abu-Jamal a new trial. Defeating two death warrants in 1995 and 1999, because of massive international protest, now imprisoned for 36 years, almost thirty of those years on death row, Abu-Jamal continues to fight his conviction in the courts and with grassroots support internationally that extends from the U.S. to Europe, Latin America, Japan, and South Africa. In December 2001 a federal court judge ruled that Abu-Jamal’s death sentence was illegal. But Abu-Jamal remained locked in solitary confinement on death row for ten more years while the prosecutor appealed twice to the federal appeals court and twice to the U.S. Supreme Court. After the DA lost in the courts in the attempt to reinstate the death penalty, Abu-Jamal was transferred out of death row in December 2011. The Philadelphia prosecutor peremptorily sentenced Abu-Jamal to life imprisonment without the possibility of parole. A sentence of life imprisonment without the possibility of parole is a sentence of slow death in prison. Subsequently, the FOP initiated various efforts to stop Abu-Mumia’s publications but were defeated by a powerful legal and grassroots battle. Yet the persecution of Abu-Jamal continued, including the medical malfeasance that resulted in near death from diabetic shock, a mistreated painful and debilitating skin condition, and the prolonged refusal to treat Abu-Jamal’s hepatitis C that has left him with cirrhosis of the liver. Cirrhosis of the liver can certainly develop into cancer and surely imposes a high risk of a much shorter life span. It took sustained international protest and the judge’s order that Abu-Jamal be given the hep C cure, and that denying him that cure, was cruel and inhumane punishment, for Abu-Jamal to finally be treated appropriately. Now, Abu-Jamal has a new legal challenge in the Pennsylvania courts on the grounds that PA Supreme Court Justice Ronald Castille had a conflict of interest when he denied Abu-Jamal’s appeals from 1998 to 2014. This new action is based on a precedent-setting 2016 U.S. Supreme Court decision, Williams v. Pennsylvania, that a judge who had been personally involved in a critical prosecutorial decision violates the defendant’s right to an impartial judicial review if he then gets to rule on the case as a State Supreme Court Justice. Castille was the Philadelphia elected District Attorney during Abu-Jamal’s first appeal process, after his conviction and death sentence, from 1986 to 1991. He was a PA Supreme Court Justice from 1994 to 2014, during which time Abu-Jamal’s case came before him multiple times. Castille was elected DA and then judge with the support of the FOP. He ran for Supreme Court judge bragging that he put 45 men on death row. Given his pro-police and pro-death penalty positions, there is no doubt that Castille had a significant personal interest in upholding Abu-Jamal’s conviction and death sentence. Abu-Jamal made applications to Judge Castille to recuse (remove) himself from deciding on his appeals in 1996, and in 2012. Castille denied both requests insisting that he could be fair. The Williams decision began a new legal fight for Abu-Jamal’s freedom. Since August 2016 demands have been made for the DA’s office to open its files and release the documents that show Castille’s personal interest in Abu-Jamal’s case. The DA has alternatively stalled, denied the existence of memos and files, and now reluctantly released evidence of Castille’s actions to get execution warrants signed against convicted “cop killers.” But to date, the DA argues that this is not proof of Castille’s direct involvement in Abu-Jamal’s case. We demand the full public disclosure of the police and prosecution files. If Abu-Jamal wins this new challenge there will be a new appeal, opening the door for a reversal of his conviction. Abu-Jamal’s fight for hepatitis C treatment resulted in his medical treatment through a federal court ruling that now serves as precedent for prisoners in PA and around the U.S. to obtain treatment. Abu-Jamal’s legal challenge against the judicial bias in his case is an attack on the prevalence of such bias by criminal court judges. The public release of the state’s files prosecuting Abu-Jamal will expose the frame-up against this innocent man and, potentially, of others. We demand: Public disclosure of the police and DA files! Free Mumla Abu-Jamal Now! [ ] Please add my name to the list of endorsers of this new appeal to free Mumia. (please fill out and return to<frantzfanonfoundation@gmail.com> with copies to <owcmumbai2016@gmail.com> and <theorganizer@earthlink.net>. – Judith Arnold, R.N., Ph.D.